Observation - Mallard Drakes - UK and Ireland. Description: Yellow bills and orange feet. White ring around neck.Green head. Yellow bills and orange feet. 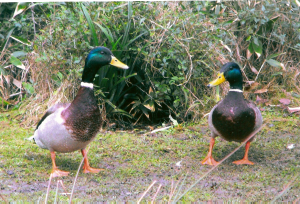 White ring around neck.Green head.